Find out who's coming, what's showing, and how much to shell out! 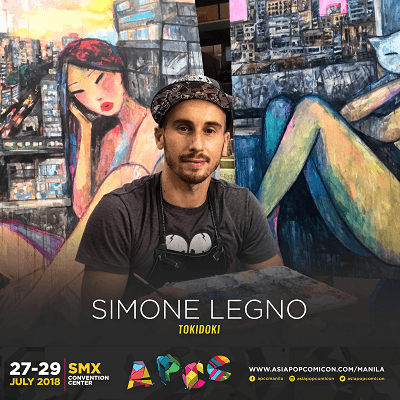 (SPOT.ph) With only a few months away, the local geek community awaits with bated breath what’s going to happen at one of the biggest conventions in the country—the AsiaPOP Comicon. With last year's great booths, exciting guests, and fun activities, you can expect there's a lot more coming your way this year. 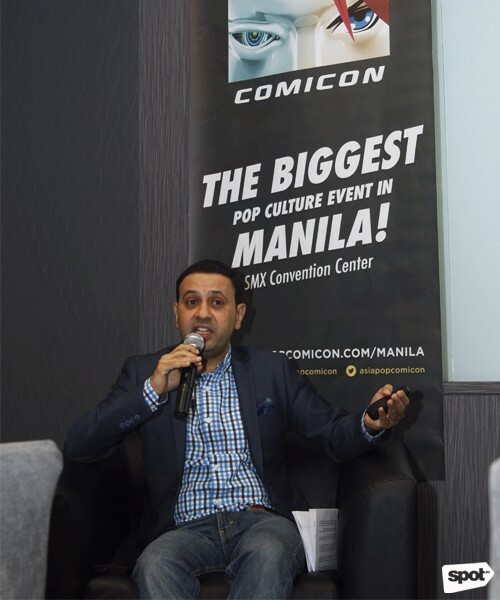 Abdullah Mahmood, marketing and business development head of the Al Ahli Holding Group, who’s been organizing the festivities, clues us in on what we can expect on July 27 to 29 at the SMX Convention Center. Here's everything you need to know about 2018's AsiaPOP Comicon (APCC) Manila, the pop-culture event everyone's looking forward to. Prices for meet-and-greets and pictures have yet to be announced so stay tuned for more info. The first announcement of celebrity guests certainly hit two fandom birds with one stone. This pair has both appeared in Game of Thrones and Iron Fist. 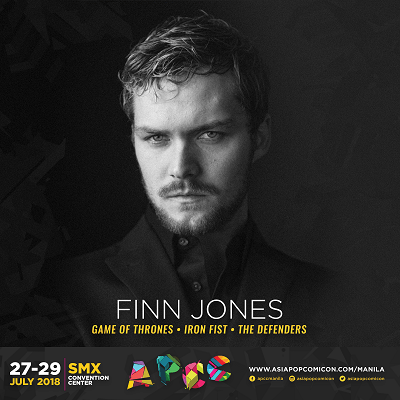 Yes, the Iron Fist is coming to Manila! 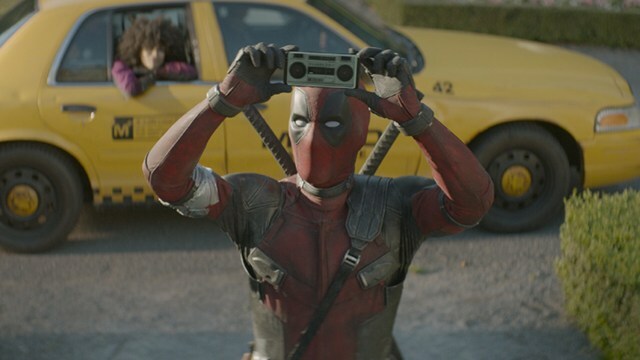 We bet that we’ll be seeing a lot of Defenders cosplayers upon the announcement of this news. The actor also represents House Tyrell as the Knight of Flowers Loras in Game of Thrones. 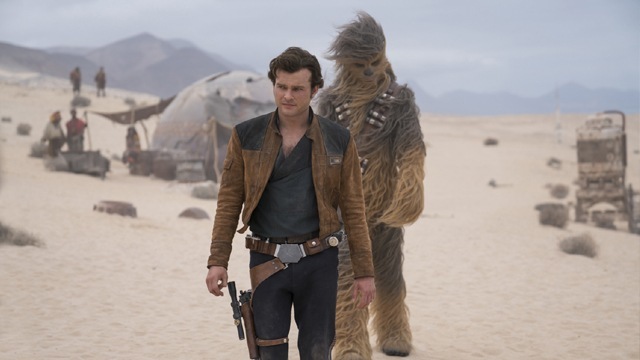 Finn Jones is set to film season two of his Marvel show soon, so we’ll definitely see more of him onscreen. Colleen Wing accompanies Danny Rand on his trip to our shores! Jessica Henwick is also known as one of the Sand Snakes, Nymeria in the hit fantasy show Game of Thrones. She’s also made an appearance in a galaxy far, far away as a resistance pilot in Star Wars: The Force Awakens. We can’t wait to see this kickbutt gal who definitely screams girl power in all her roles. Cosplayers need to start prepping and gathering their fabric because the convention will be holding the Cosplay Global Authority Challenge (or CAGE) once again. The cash prizes in this contest are bigger than ever, worth around U.S. $18,000 (that’s roughly P942,000!). 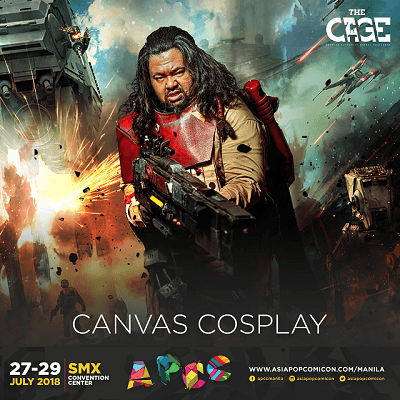 One of the guest judges include Canvas Cosplay a.k.a. Philip Odango, a Filipino-American cosplayer best known for his legit take on Maui from the Disney movie, Moana. He will be returning to APCC for the second time around. 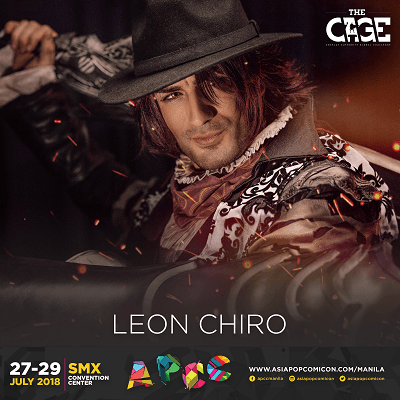 Another judge is world-renowned Italian cosplayer Leon Chiron who’s making his very first appearance on the APCC stage. His hyper-realistic portrayals of fictional characters has garnered him a large following. One of his more popular portrayals, All Might from the anime, Boku No Hero Academia, has already gone viral. 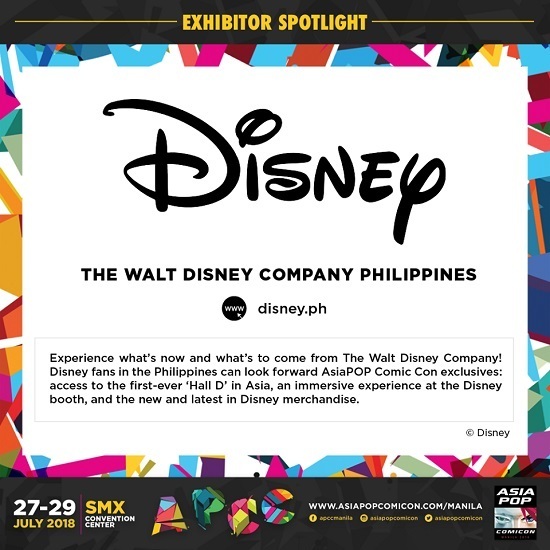 Now would be a good opportunity to clean your room and hunt down all your toy figurines and comic book memorabilia because APCC will showcase a lot of heavy-hitters in the art department. 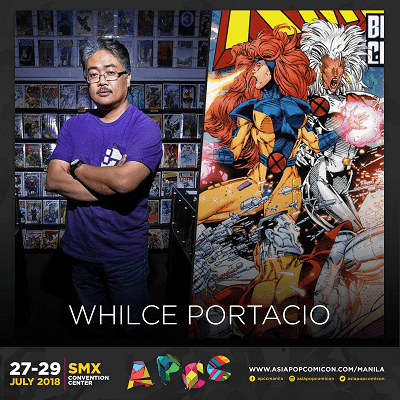 We’ve got returning favorites, such as Filipino-American comic book artist and writer Whilce Portacio (who’s worked on the Uncanny X-Men, among many other titles) and Simone Legno of Tokidoki fame. 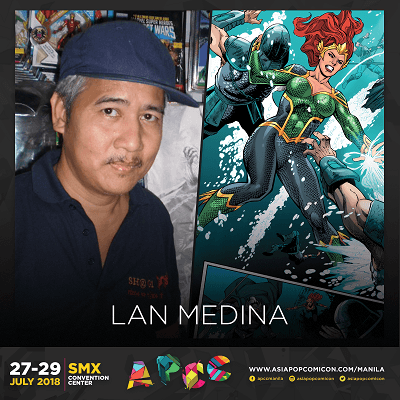 There will also be new guests that will leave you #shookt like Lan Medina, the first Filipino illustrator who received the coveted Will Eisner Comic Industry Award for Fables. 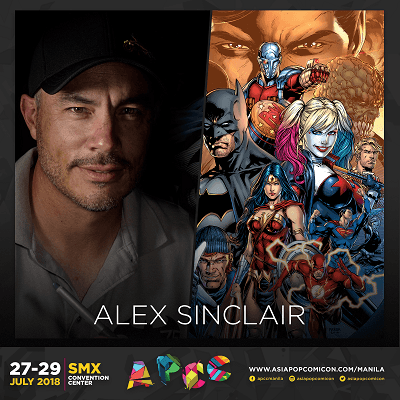 There’s Mexican comic book colorist Alex Sinclair, who’s worked on the Harley Quinn series. 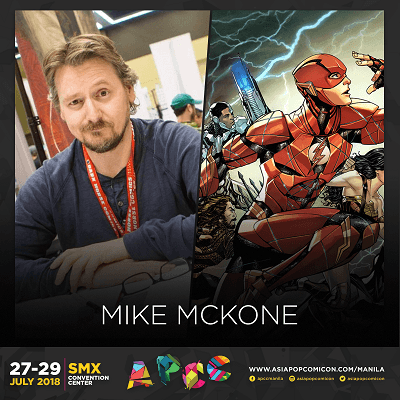 British comic book artist Mike McKone was involved in DC’s Justice League of America. 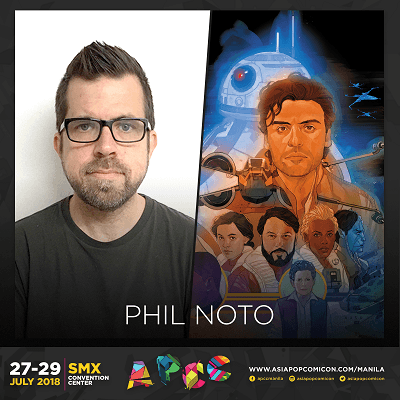 Phil Noto is an Eisner-nominated artist who’s done Uncanny X-Force and was a concept artist for the video game Bioshock. 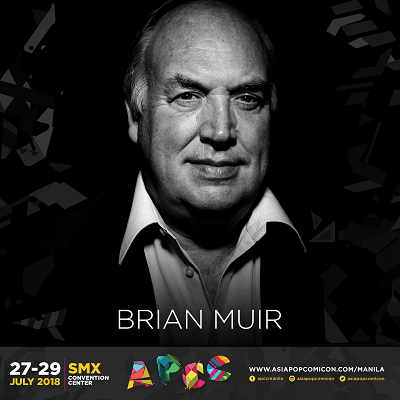 Last but not the least is British sculptor Brian Muir, who is best known for sculpting the Stormtrooper armor and Darth Vader’s helmet, plus many more iconic items that you can see from the classic Star Wars series. The APCC convention will still continue housing talent acquisitions for Marvel. True believers who have a knack for visual storytelling should start compiling their portfolios because who knows? You might just be the next Pinoy making it big at Marvel comics. Marvel's Hall M...and Hall N?! We’re glad that Marvel’s Hall M, where they give a sneak peek preview to lucky dozens of people of what’s to come in the Marvel Cinematic Universe, is coming back. But this other hall is something to also get excited for. The N stands for Netflix and the streaming giant plans to show its viewers a never-before-seen movie two months ahead of the actual airing. If you’re as excited as we are, just know that this is only the beginning. Expect more guest announcements and geeky news in the coming weeks. 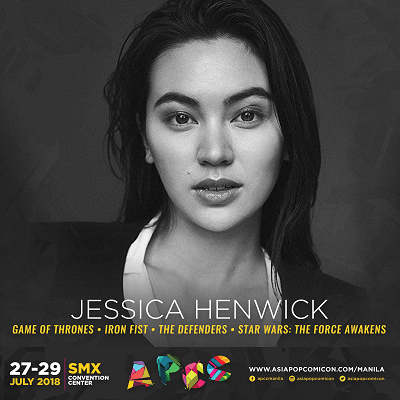 Celebrity headliner Jessica Henwick has canceled her appearance at the event due to "unforeseen circumstances" according to the official statement from her management. 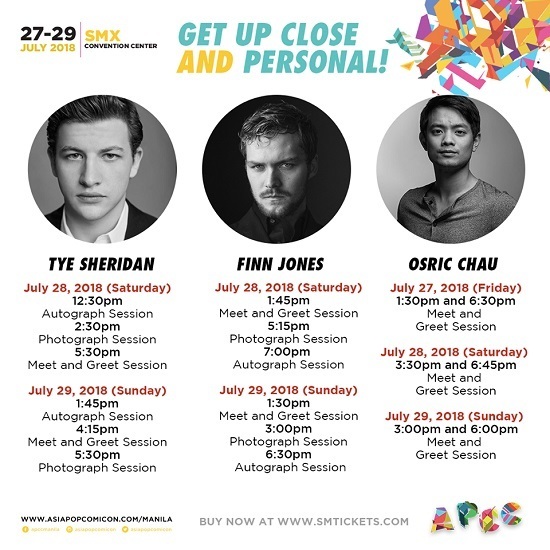 But the good news is, more headliners have been added to the event's lineup—Osric Chau who plays Kevin Tran on Supernatural and Tye Sheridan, the star of Ready Player One. Like Jones, Chau and Sheridan will also be having meet-and-greets with fans. Mike Colter, star of Marvel's Luke Cage, will also be at APCC. Who knows, maybe you can have a group photo with Colter and Jones so it could look like a crossover of Iron Fist and Luke Cage! 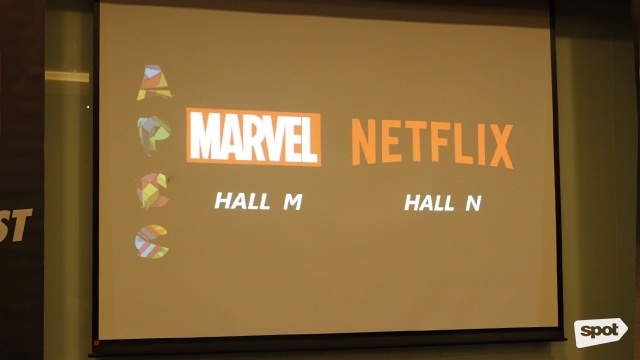 In addition to Marvel's Hall M that's happening on July 27 and Netflix's Hall N on July 28, the first-ever Hall D (for Disney!) in Asia is happening on July 29. They'll be showcasing new and special content—from movies to TV shows—that they have lined up for the year. 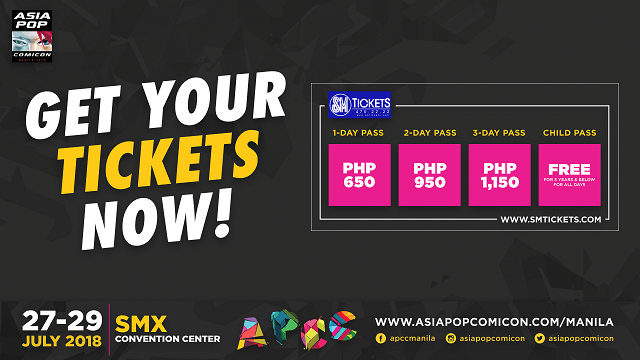 For more information, log on to AsiaPOP Comicon's Facebook page.